Recommended by top analysts and consultants is the ability for users to contribute their feedback to help prioritize development. For years, Maintenance Connection has had a Product Suggestion list to record your feedback. Until now, user access to the list was purely through MC support staff. Our Product Suggestion Transparency Act will put users in direct contact with the list including the ability to comment and vote on items within the list. Let your voice be heard! We are building a new way to create a support ticket directly from within MC User Connect. No need to bounce around from site to site. No need to pick up a phone. Additionally, this upcoming feature will automatically search through the articles, videos, documentation, and forum for relevant solutions based on the information you enter while creating your ticket. Want to know that status of your support ticket? 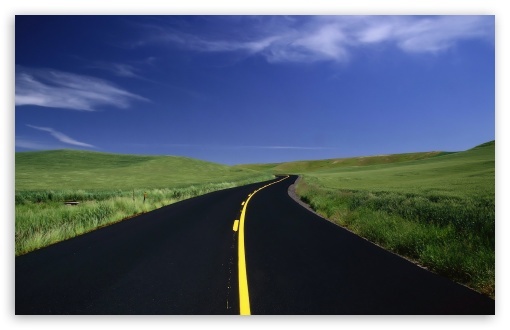 Has your advanced request been escalated to a specialized team? The upcoming feature will allow you to see your status with a simple click of the mouse. Are you interested in when your annual support contract needs to be renewed? Or, how many service days do I still have in balance? We are working on a solution that will provide users and administrators with information regarding their Maintenance Connection account. As we are working on these enhancements, one of our top priorities is to consider how we can take advantage of all the elements our partner Zendesk has to offer. We are evaluating the expansion potential of the current platform on which MC User Connect is deployed. A change may be necessary, but we are committed to as little downtime as possible, and we will provide plenty of notice. The wealth of information in MC User Connect and a tight integration to Zendesk will provide you with the best support experience you will find anywhere, ever. MC User Connect – Happy Birthday! As we approach the one year anniversary of the launch of MC User Connect at last year’s Checkpoint conference, we are celebrating with a collection of improved capabilities. We are in the process of re-indexing our current content titles and keywords to streamline visual navigation as well as enhance search accuracy. As the amount of content, videos, articles, and documentation continues to grow, presenting “just the right” piece of information to you becomes more of a challenge. Re-indexing will bring the right information to your fingertips faster and with less effort. Have you ever felt out of the loop on relevant day-to-day Maintenance Connection news? Well, next in line with our enhancements is a new notification system to keep you up-to-date with MC User Connect activity and important inside news. We currently have an option for users to be notified of activity in the User Forum, but our current system doesn’t reach to other areas of MCUC, such as the Library or Announcements. Our new system will bring attention to items of interest on the site in a simple and easy to read summary. Our Solution Engineer team is second to none and continues to implement its own innovations and improvements. As you may recall, we introduced the revolutionary Zendesk software in October to better manage tickets and routing. We now have an integration between Zendesk and MCUC on our radar that will hopefully provide you with the ability to submit tickets directly within MC User Connect. We are hoping to also give you the ability to review your history and queue and have begun to evaluate the options in hopes of putting something in place this year. We look forward to providing you with updates regarding these enhancements in the coming months. 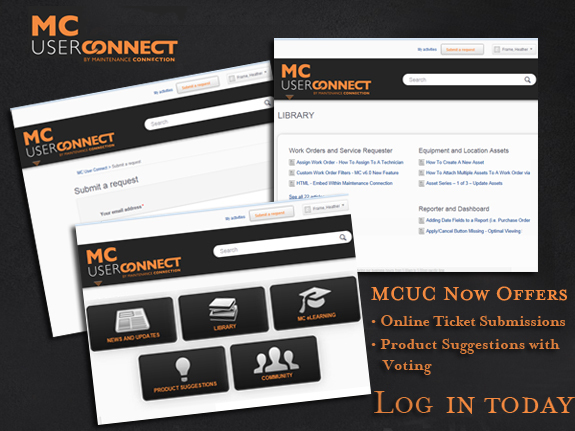 MC User Connect provides extensive resources for customers inquiring about a specific issue, or those looking to expand their general knowledge of the system. We recently performed some “housekeeping” to optimize navigation and ensure that the 150+ resources that are available are more easily accessible. Once a topic is selected, all content is displayed, eliminating the previous menus that required additional mouse clicks. The content is separated into Troubleshooting and Tutorial sections, as shown in this example for Staff Membership, Access and Login. Troubleshooting documentation helps you find solutions to problems you might encounter. Whereas, the Tutorials provide more general information, tips, and tricks on how to use the valuable feature sets available in Maintenance Connection. In a constant effort to improve the MC User Connect experience, we have identified a number of enhancements that will be introduced throughout the year. If you haven’t been by in a while, or haven’t signed up yet, take a minute to visit and let us know of any changes that you would find beneficial.